911 Call – 12 Yr Old Girl Shoots Intruder with Glock .40. Kendra St. Clair, a 12-year-old girl, was at home alone she heard banging at the door. When he could not get in the front door he went around the back and kicked the door in. Kendra quickly called her mom who told her to grab the family gun and hide in the closet. “I was scared and I did not know what to do”, Kendra told ABC news. She did what every child should when they don’t know what else to do, call your parents. In this case she called her mother. “I said Kendra get the gun and go hide in the closet now. And called 911,” explained Kendra’s mother. Without hesitation, she did. In the closet and in the dark Kendra held her mothers .40 caliber Glock and called 911 and relayed all the information to the dispatcher. 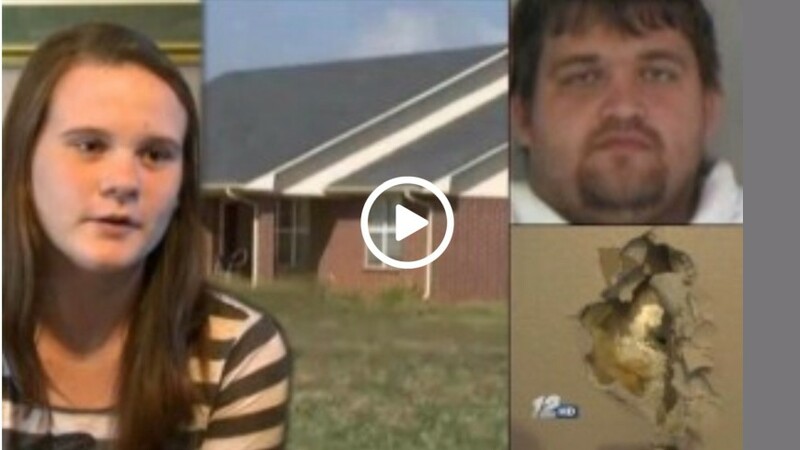 When the doorknob began to turn Kendra fired gunshots through the door striking the intruder. According to police, the bullet traveled straight through the closet door and struck the 32-year-old home invader in the shoulder. He ran off and was arrested a few blocks away.